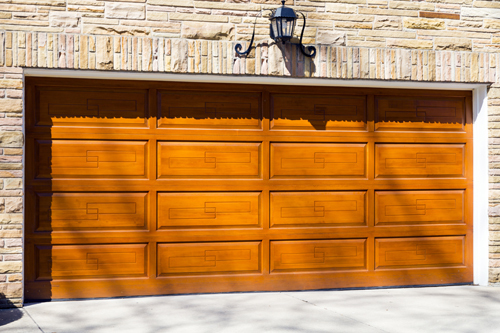 Garage doors vary in materials, and wood is one of them. This is a popular material especially for traditional style of homes. Carriage doors commonly use wood. However, steel remains to be the most widely used material because of its durability. Wooden doors have both advantages and disadvantages. Garage door companies offer wood for homeowners who are very particular about customization because as a material, it is customizable. Some doors offered in the market come in pre-style and size, which is a problem if the garage opening is not standard in size. Wood doors can be designed to accommodate the desired size, shape and look. 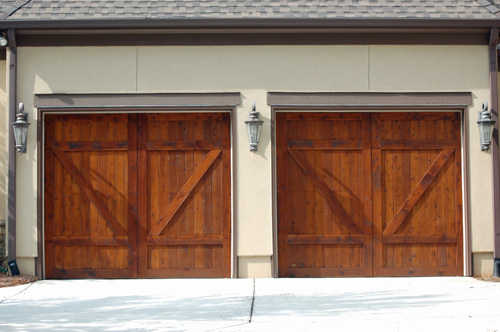 If you want arch-shaped garage door, wood is the best option. Compared to steel and aluminum, wood is advantageous since it does not dent. It can withstand scratches and scrapes as well. Lastly, wood is preferred for its look. It can easily match various home styles unlike metal or fiberglass materials. One of the drawbacks of wood is its poor insulation characteristic. Steel can easily be insulated to keep the heat inside the home and the cold temperature out. This is desired by homeowners who live in places that experience extreme weather conditions. They would want their property to be energy efficient, aside from the fact that snow and low temperature can affect vehicles. Maintenance is another issue when using wood for overhead door. It requires periodic painting and staining. Wood is sensitive to moisture. It can swell when you are exposed to moisture so it would be better to use steel if you live in the coastal area. Nevertheless, you can always schedule garage door maintenance service from a reliable contractor. If you truly want this type of door, our experts suggest getting it from a reputable manufacturer.